Want to build a better small business? Then it is time to build your TEAM! A team, however, doesn’t just consist of the employees, subcontractors, and freelancers you hire who can help you with the things you don’t know how to do, don’t have time to do, or just plain don’t want to do. Do you know who else can be a dynamic and valuable team member? 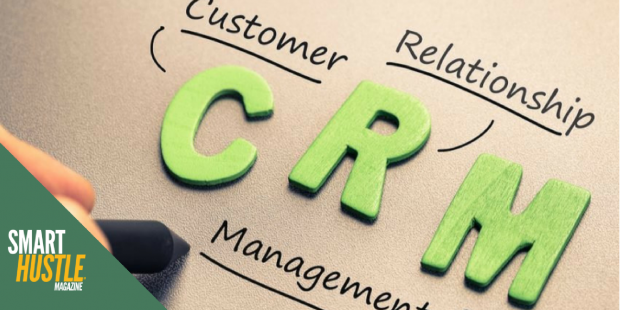 Your CRM (customer relationship management) system! In a recent interview, I spoke with Carrie Kahn of Complete Business Group who talked about how her business got a huge boost when she added Insightly CRM to her team. Carrie Kahn is a CPA who has been working with QuickBooks since Microsoft DOS V1; she says she has been “standing behind the product as if I own the company myself.” She’s worked with accountants, in an IT firm, and she became an official QuickBooks reseller in 2008. In 2010, she decided to follow in the footsteps of her parents and start her own business. The first year she worked as a solopreneur from her home and says that the biggest challenge was putting things in place to keep herself from getting distracted. In year two, she hired an assistant. With a real office, a team member, and a set schedule, the business flourished. As the business grew, she began to understand the importance of building her team by hiring people to help in different areas. “If I find something I’m not good at, I want to find that person to help me. I can’t do it all,” says Carrie. She says it is crucial to get a team of people who are experts in different areas and who work well with you, whether they are full-time employees or experts who are sub-contracted for specific projects. For example, after trying a few people, she finally found a web designer who is perfect for her. In the years to follow, she expanded her team to include part-time admin helpers, sub-contracted marketing experts, and a bookkeeper. She also started a partnership program in 2015 which now includes over 200 partners whom she considers to be part of the team as well. In the process of building her team, Carrie always knew that something was missing. She says that just about every year she would think that it was time to add CRM to her business. She’d pick a product and try to figure it out on her own through trial and error. However, without investing in proper setup and guidance from experts, she’d end up frustrated, and the product would fail. Instead, she’d typically rely on QuickBooks as her CRM, but the whole process was sloppy and ineffective. Right before choosing Insightly, Carrie was using two systems: Pipedrive for tracking leads and sales, and Asana for task management. She was looking for more automation and chose to move to Insightly because it married the functions of the other two systems while adding automation. She hired an expert, and the setup took two weeks. The results were immediate. The ability to set up email templates, which saves time and also makes your business look professional. The integration of Insightly with other apps through Zapier, a program that creates ‘zaps’ that transfer information from other systems you use (like Wufoo or your website shopping cart) directly into Insightly. The ability to set up workflows where an action (order, inquiry, etc.) can trigger a set of follow-up tasks. In the interview, Carrie explains how this plays out in real-life scenarios in her business. For example, if a client calls to get a quote on a specific product or service, Carrie builds a pipeline in Insightly where tasks are created to email the quote and then follow-up weekly until the sale is closed. Another example is that when someone places an order on the website, the customer and order information come into Insightly automatically through a 'zap.’ Carrie then assigns an activity set for all follow-up tasks, like ordering the product, communicating with the customer, and paying commission to the partner who referred the sale. Who wouldn’t want to add a team member to their small business who is smart, organized and efficient…one who saves your time and your sanity? This is why Carrie and so many other small business owners are making CRM a part of their team.